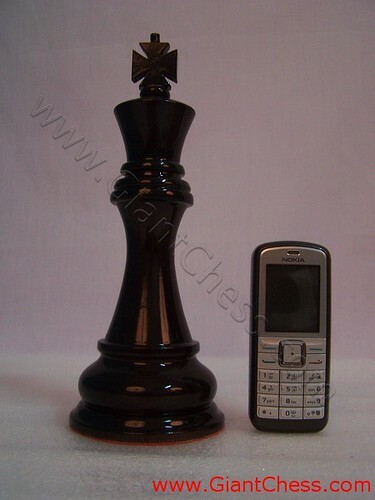 Wood chess pieces is our specialty and we have various sizes and models of chess pieces. We have standard chess models, Stanton chess, decorative chess, custom chess in various colors. We have 8 inch chess, 12 inch, 24 inch, and many more. The picture show one of our collection. It is black and glossy King piece in big size. We have another color or you can decided your own chess models and colors. Buy our collection of chess set for your collection, or you want to decorate your house with our big chess pieces.